What Is In The Price Per Pound? As with any industry the cycles of maturity and growth allow for the introduction of new players. 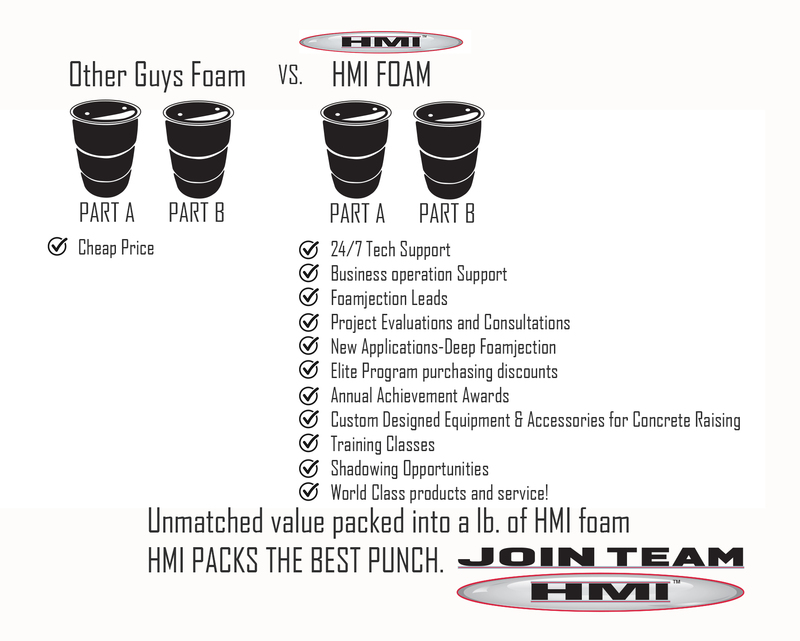 Business people seek new segments to enter and HMI helped create one for the Spray Foam Industry. On one side many spray foam contractors could now use their equipment to provide a new service at a higher margin by just changing the foam and preferably attaching a new gun. On the other side polyurethane manufacturers who were insulation foam specialists began to market their foams for concrete lifting. Sometimes they tweaked the chemistry – sometimes not. As with many new market entrants they began to compete on price since any sale was an incremental lift in their business at some profit margin. For us to go forward in this discussion we have to define value. The best definition of business value I have seen appeared in a Harvard Business Review article by James C. Anderson in 1998. Anderson proposed that the definition of value in business markets was, “the worth in monetary terms of the technical, economic, service, and social benefits a customer receives in exchange for the price it pays for a market offering. “ When someone competes on price only without an offer technical support or service are they providing true value? At any time nearly any sales professional without expertise or product knowledge can compete on price. In the case of polyurethane slab jacking foam, the pitch usually goes like this: ”you use 9 lbs a day – WOW – I can save you $16.00 a day and in a year that is over $3,000 in your pocket.” What the sales person fails to tell you is that he has never lifted a slab of concrete in his life and that when you have a problem with a job or the foam he will not have a solution or send you to voice mail. When you sit down over coffee with seasoned and battle weary mudjackers who have been lifting slabs for decades they entertain you by telling war stories and describing concrete lifting and leveling as an art. Since no two lifts are exactly the same the analogy is true. Season mudjackers were ahead of their time and created networks of specialists they could call when they ran into jobs that presented new challenges. Today we have forums and on line help desks. They had friends. Remember that $3,000 you supposedly saved? When one job fails and you have to replace and repair a customer’s walk or driveway slab you will watch that disappear in multiples of loss because there was no support. 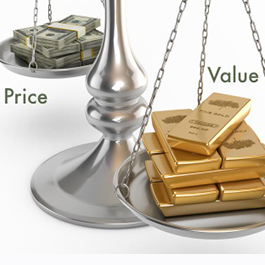 HMI works to meet the definition of value. An on line portal is available 24/7 with videos, accessible from your phone from a job site providing scores of best practices for unique jobs and equipment maintenance. Four specialists are on call during business hours to analyze your emailed photos of jobs to be that “network” of friends to prevent problems in advance. ← Who Are The Concrete Lifting Experts?